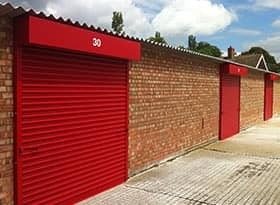 Our experts produce high quality doors, shutters and security gates for industrial and commercial clients. Discuss your needs with one of our experts. We provide maintenance on all our products. 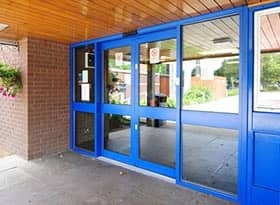 Here at Royal Industrial Doors we have over 25 years of experience in producing high quality products for our industrial and commercial clients. We understand how important it is to protect your business and property. 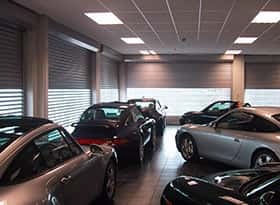 Your business security can influence how people view your business and keep any stock or equipment safe from potential intruders. The Royal Industrial Doors team of professional technicians and engineers can come to you and assess your needs during a free site survey. Our engineers can advise you on which products will work best for your business, within your budget. We have a made-to-measure service which provides the best fit for what you need, across our entire range. Through our engineers, we offer maintenance and repairs with a 24 hour emergency service, should you require it. Furthermore, our resources and expertise makes us a leading manufacturer and installer across Luton, Stevenage, Milton Keynes and Bedfordshire. From the free on-site survey and quotation through to the installation and maintenance, we are always on hand every step of the process. Contact our team today for more information.